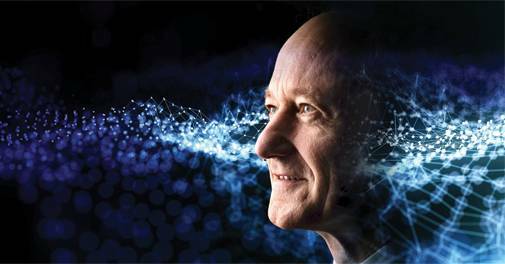 Dr. Roland Busch, Chief Technology Officer and Member of the Managing Board of Siemens AG, since 2011, was in India recently to kick-start Siemens digital solutions for Indian industries. The 53-year-old Busch, heading the Corporate Research and Development Department of Siemens AG as project head since 1994, spoke with P.B. Jayakumar on the changing manufacturing scenario and plans for India. You have been associated with the operations of Siemens India and have been working in Asia for a long time. How do you view the changes in India? A: I have been on the Board of Siemens India for over seven years and have been coming here very often. I know India and love it. India is a very fast-developing country, though there are challenges for big development. That is witnessing an improvement. The speed of development over the past few years has been high. I believe that 'Make in India' will help increase the share of industrial GDP from 15 per cent to over 25 per cent with value-added products and services. That is on its way and still a long way to go, but it has gained momentum. We see good progress, but still a long way to go, is my assessment. Siemens digitised the facility at Kalwa, Mumbai, to make it a showcase factory. Artificial Intelligence, Internet of Things, 3D printing, robotics, etc., are buzz words in manufacturing. How are these technologies evolving across the globe important for developing economies like India? The digital industry 4.0 scenario is fast evolving and changing the global manufacturing scene. Powerful digital technologies have opened the door to affordable mass customisation. This has caused companies to take a fresh look at their manufacturing technologies. It mainly revolves around unlocking the potential to drive productivity, shorter time to market and creating customised products and smart solutions. The Adidas speed factories in Germany and the US, for example, can not only give completely customised shoes designed to specifications given by the customer online, but also get the product much faster to the market compared to conventional manufacturing and marketing channels. The key to success in the digital era is speed and scale, improved reliability and developing new business models. It is an ecosystem involving connected devices, additive manufacturing, autonomous robotics, predictive maintenance, blockchain applications, connected (e)mobility, cyber security, data analytics, artificial intelligence, distributed energy systems and storage which are all applicable to any business. We at Siemens have invested heavily in the past to create solutions for digitisation across industries and verticals. In a fast-growing economy like India, digitisation is fast catching on. More and more managements are now realising its potential. Currently, we are working with over 150 customers in India on 100-plus projects across industries that range from pharma to cement to energy companies. Over 2,500 engineers are working on these projects. How disruptive are these digital technologies and how are they going to change the world? In 2017, Siemens spent 1.2 billion euro for research and development in digital business, and now we employ 24,500 software engineers. In health care, we have developed an ultra-fast and flexible diagnostics platform Atellica. We also have an innovative platform for premium-class mass transit named Mireo. Some of the innovations that we developed in-house include 3D printing of gas turbine blades, NX for additive manufacturing. Apart from this, we are collaborating with partners and have made an investment of 500 million euro in developing new technologies. There are many examples on benefits of digital solutions in various sectors. The smart power grids installed in Jacksonville in the US with Advanced Metering (65,000 meters) helped save $1.6 million in 18 months. Use of artificial intelligence for maintenance of gas turbines has meant 30 per cent longer maintenance intervals and 16 per cent lower costs for customers. Bank company Capital One monitors 20-plus office buildings, and based on 14 million data records per week, there was 10 per cent improvement in energy efficiency. Predictive maintenance with optimised maintenance, smart monitoring and obsolescence management helped 70 Vectron locomotives of the North-East Corridor high-speed passenger service in the US reduce delays by 33 per cent. The Museum Victoria in Melbourne is an example of optimised building performance with reduction of operating costs by 32 per cent and CO2 emissions by 35 per cent. We have deep domain know-how in a broad range of markets and industries and a powerful ecosystem of unmatched digital portfolio with MindSphere, software, services and security to serve the customers. It is widely believed that traditional industries with conventional manufacturing processes will have a difficult time ahead. Will it lead to job losses and large scale automated manufacturing? I don't subscribe to that theory. At our factory in Hamburg, Germany, the headcount at one of our facilities has remained flat at around 1,200 for the past so many years, but output has increased eight-fold, through digitisation. In the industry 4.0 scenario, employees have to adapt to new skill sets and retrain themselves. We have spent over 500 million euro for training employees. New age manufacturing will involve more IT-oriented functions and that can open up new avenues of jobs and opportunities. In other words, it can create new jobs. How far are the Indian operations of Siemens ready to leverage this changing scenario and opportunities? Off-hand I don't remember the India numbers, but can say Siemens has been investing heavily in digitisation. Our global revenue in digital businesses was 5.2 billion euro last year, including 4 billion euro from software and 1.2 billion euro from digitalisation. Siemens is among the top 10 biggest software companies worldwide. We have invested more than $10 billion in software acquisitions since 2007. Starting in 2017, Siemens has opened 20 MindSphere Application Centers worldwide. At these centres, in cooperation with customers, Siemens develops industry-specific digital solutions for data analysis and machine learning with special focus on MindSphere, Siemens' open, cloud-based operating system for Internet of Things. We have over one million connected devices and systems now and in the last one year doubled the number of customers (over 2,900) and increased digital offerings to more than 250. In India, the opportunities are not confined to traditional areas like pharmaceuticals or chemical companies. A lot of activity is happening in food and beverages, mobility (highways, ports, high-speed trains, metros, etc. ), aviation, defence, smart cities. Siemens has launched its digitalisation platform, 'Mindsphere', in India, along with four application centres in Pune, Noida and Gurgaon (two). At the four centres, around 900 software developers, data specialists and engineers work together with customers to develop digital innovations for data analysis and machine learning. We have invested heavily in the past in India to leverage the opportunities. India is very important for us in the scheme of things and we will continue to invest further.